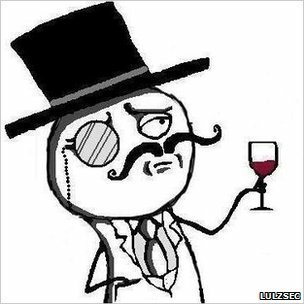 A man suspected of being a member of hacking group Lulzsec has been arrested in the US, the FBI has said. Raynaldo Rivera, 20, is accused of being involved in hacks on Sony Pictures in May and June last year, in which thousands of personal details were published online. The FBI alleged he had worked with Cody Kretsinger, a 24-year-old who pleaded guilty to hacking charges in April. Lulzsec, an off-shoot of the Anonymous hacking collective, gained notoriety last year with a string of high-profile attacks on websites and businesses. In the Sony hack, which the company said had cost it $600,000 (£380,000), people who had entered competitions had their personal details exposed on the internet. Alleged members of the group have to date been arrested in the US, UK and Ireland. An indictment containing details of Mr Rivera's arrest was made public on Tuesday. It accused Mr Rivera and others of stealing data from Sony using a hacking technique known as an SQL injection. The indictment said Mr Rivera had helped to post the confidential information onto the internet, and had been involved in publicising the attack on Twitter. At the time of the attack, Lulzsec members wrote: "From a single injection we accessed everything. "Why do you put such faith in a company that allows itself to become open to these simple attacks?" Police said Mr Rivera covered his tracks by using a variety of pseudonyms including "neuron", "royal" and "wildicv". He is also accused of using a proxy server to further avoid detection. Unlike Anonymous, which is a loosely organised collective of hackers and hacking advocates, Lulzsec was a defined group with its own specifically recruited members. The group is also known in longer form as Lulz Security - where "Lulz" is a play on words of the popular internet phrase "lol", meaning "laugh out loud". Several members of the group have been arrested and subsequently appeared in court. In the UK, Ryan Cleary, 19, and Jake Davis, 18, both admitted being part of the group in June. However, they and two others - Ryan Ackroyd, 25, and a 17-year-old boy - pleaded not guilty to other related charges. The group's leader, a hacker who went by the name of Sabu, worked undercover with the FBI to track down members after he was arrested last year. Sabu, whose real name is Hector Xavier Monsegur, was last week granted a six month delay in sentencing due to his "ongoing cooperation with the government". He is now set to be sentenced in February 2013. Lulzsec claimed to have attacked News International, whose website for The Sun was defaced with a false story suggesting the newspaper's owner Rupert Murdoch had died. Lulzsec had previously posted a story on American broadcaster PBS's website suggesting dead rapper Tupac Shakur was in fact alive.